Get Your Free Positioning Technology Guide! 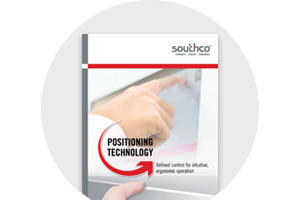 Southco’s Positioning Technology Solutions offer flexibility, ease of operation and long cycle life. Our positioning hinges and display mounts enable easy repositioning, while eliminating the need for maintenance – which translates into better usability and ergonomics for the end user. Custom solutions can be engineered to precise specifications for any application.